"Middle age" was held to be the most productive period of 19th-century life. Frequently Mount used local residents as subjects for his works, depicting the gentleman farmer working or discussing politics, for example. Long Island Farmer Husking Corn (1834) and Herald in the Country (1853) are two wonderful portrayals of the prosperity, energy and intellect of the 19th-century adult figure. Mount used elderly models as subjects for many of his works. The rather gaunt portrait of his mother, Julia Ann Hawkins Mount (1830), is a good example. Painted when Mrs. Mount was only 43, she had by that time endured eight pregnancies - five children lived past infancy - and had been a widow for over 15 years. In this work, her son sensitively captures the effect on her of this difficult life. Finally, Mount's interest in spiritualism, combined with 19th-century mourning rites, led to his production of posthumous paintings. 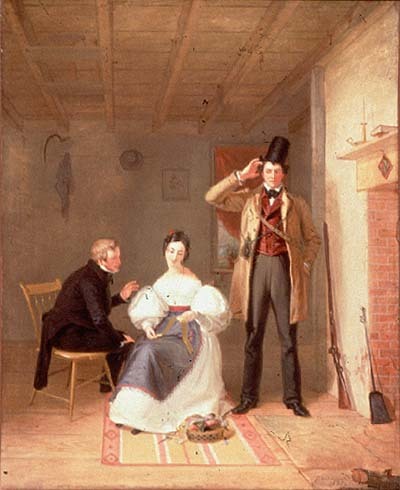 Among the best known are his portraits of Jedidiah Wlliamson (1837) and Susie T. Marsh (1860), who both died in childhood. 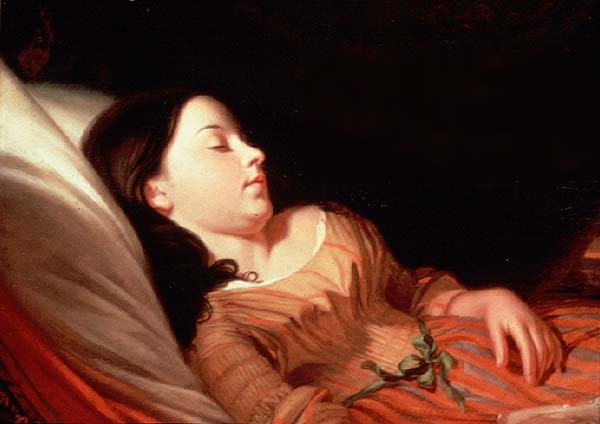 Although Mount realized that commissioning a death portrait of a child was part of the mourning and grieving process for families who could afford it, he disliked this type of work and was known to charge more than double his regular fee for such paintings. 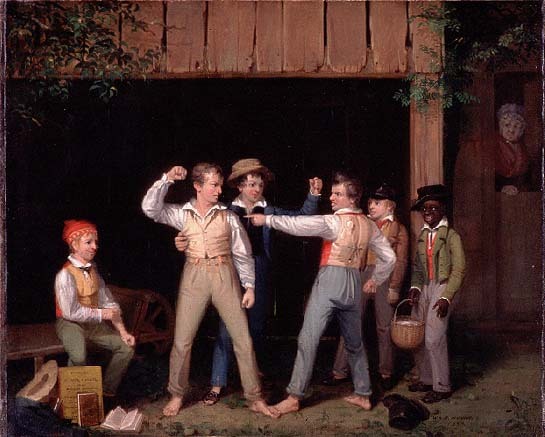 Plus other articles on 18-19th Century American Genre Art.